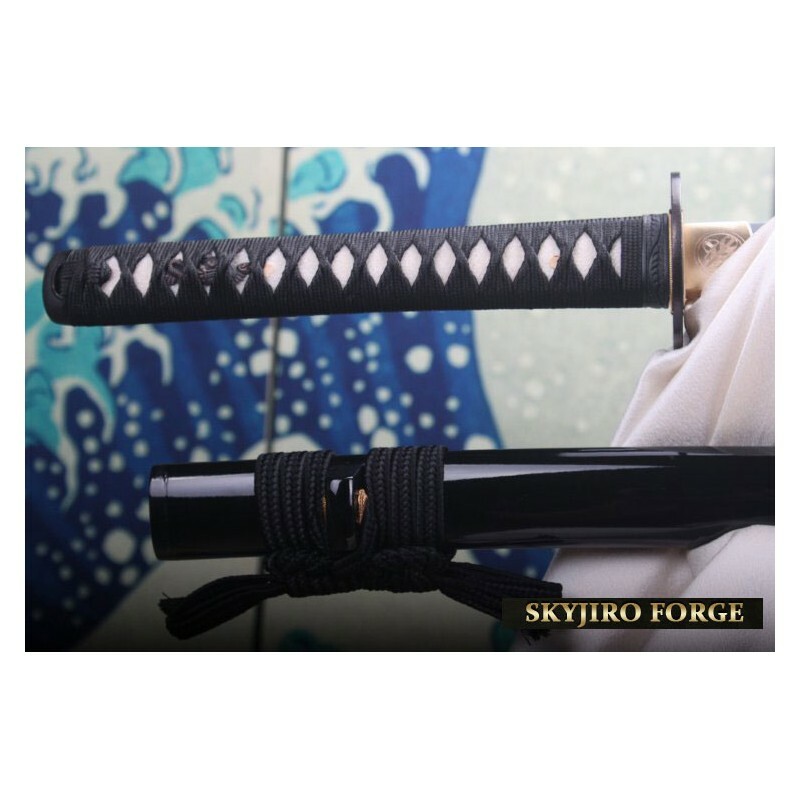 Japonská katana inspirovaná legendou o 47 roninech. Velmi ostrý meč k sekání tatami. Damašková ocel 3200 vrstev, 1070 vysokouhlíková ocel. Certifikát a podpis na trnu. Craftsmanship/Design Grade: [Deschi Class/Entry Level]. Sword Type: Shinken (Razor Sharp Katana). 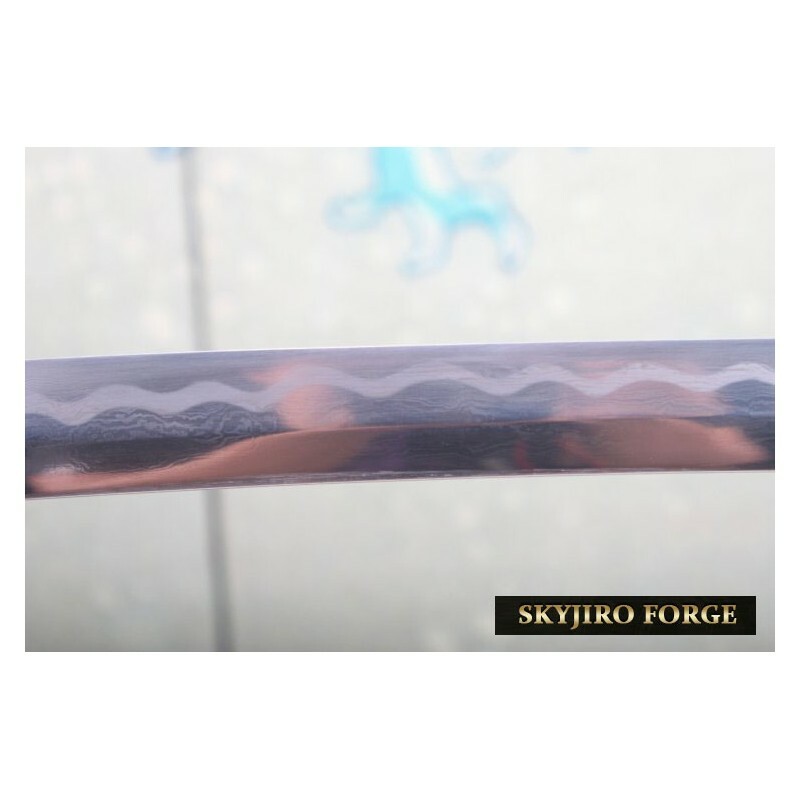 Sword Weight: 1.1kilo / 2lbs4oz (Without Saya). 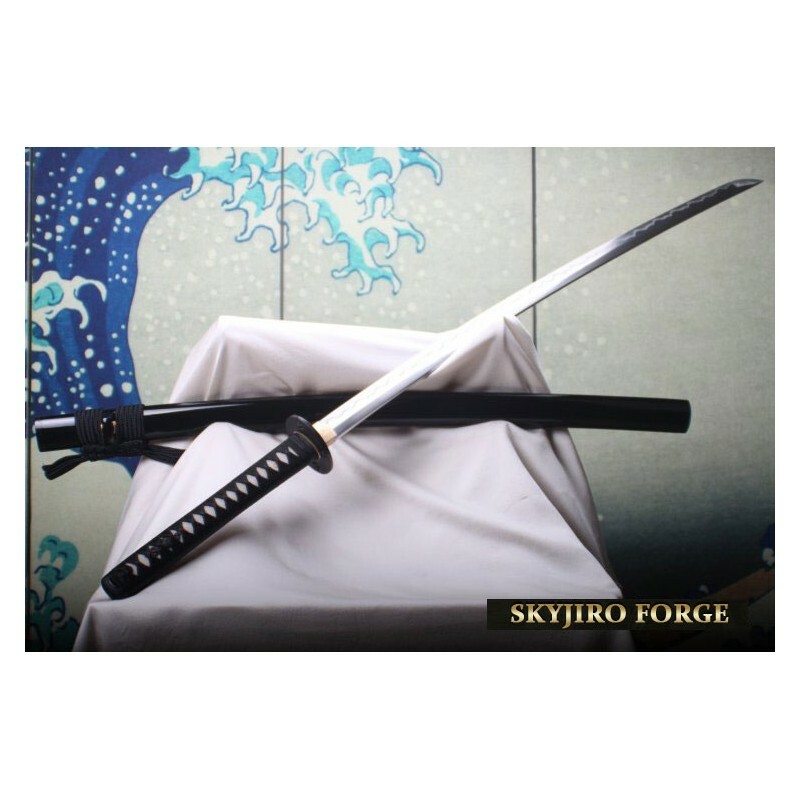 Overall: 104cm / 40inch with Saya (Scabbard). 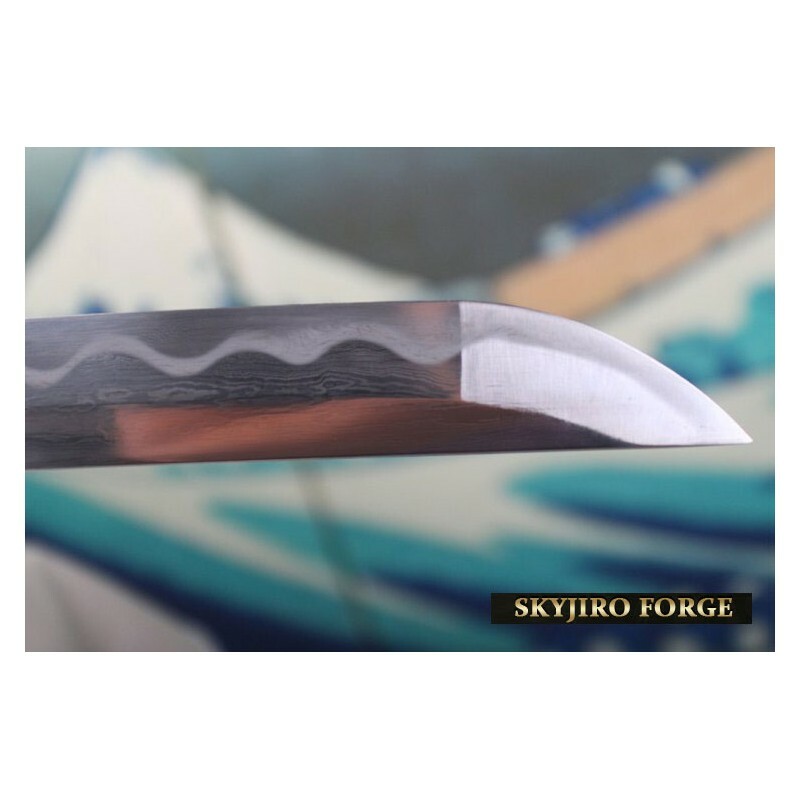 Balde Shape: Shinogi Zukuri Style. Nagasa(Blade length): 2.37 Shaku / 28.4 inch. Tsuka(Handle length): 8.75 Sun / 10.5 inch. Blade Made: Tenku 1070 Traditional High Carbon Folded Steel with Double Imitation Hamon (3200 layers). Yaki(Hardness): Tenku Traditional Through Hardening Technique. 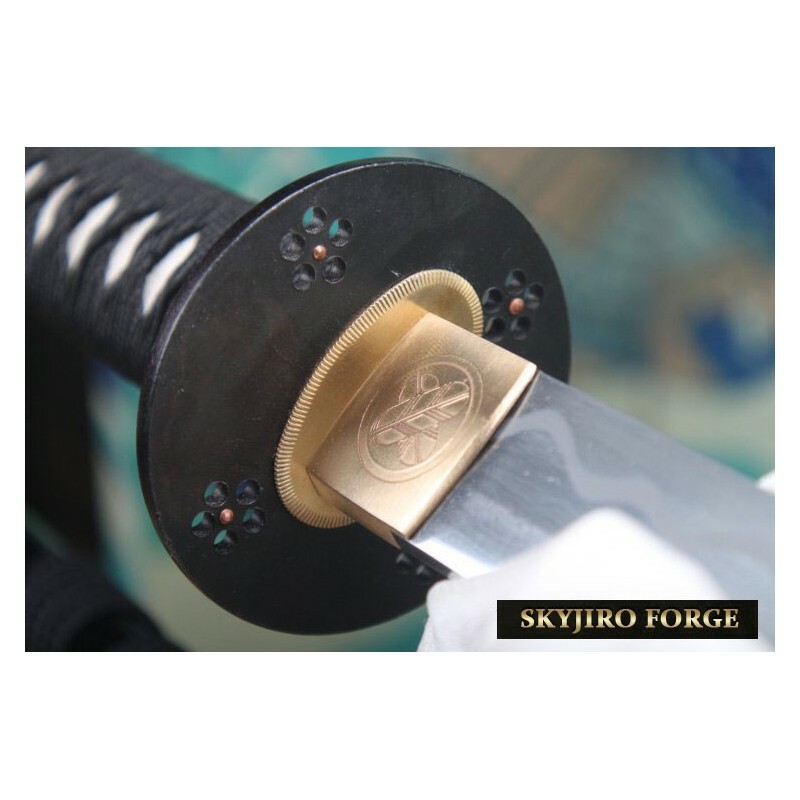 Blade Polish: Tenku Hand-Mirror Polish with Japanese Water Stones. Kanagu(Tsuba/Fuchi/Kashira/ Menuki): Tenku Iron & Mixed Metals. Mekugi: 2x Premium Bamboo Pins. Saya(Scabbard): Genuine Water Buffalo-Horn Scabbard. 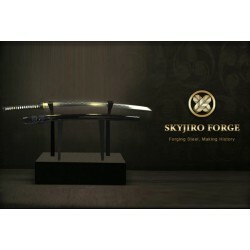 Special Note: Fully Functional Hand-Made High Carbon Steel Sword with Razor Sharp Ha (Edge). 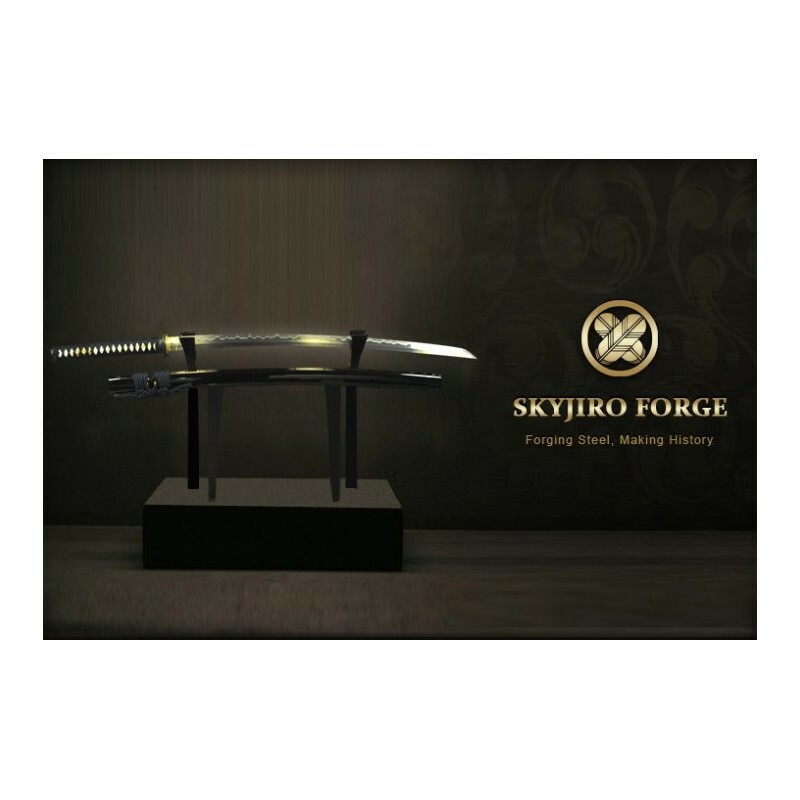 These swords are guaranteed to cut Tatami!.